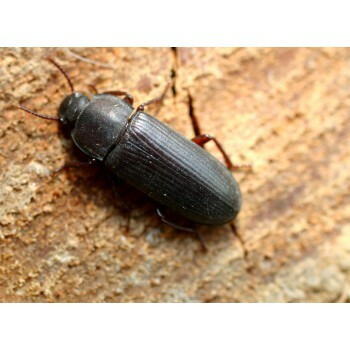 There is estimated 20,000 different types of Darkling beetles found worldwide. This small beetle is named because of the way they change colour as they get older. Once they emerge from their pupae stage they are white, then turn orange, then brown and eventually remain black. At Rent a Beast we use these to show a life cycle in action. They hatch from eggs and into the larval grub form which we all know and love as mealworms. These mealworms then grow and eventally pupate. These look rather alien like (always a bonus for kids) then they become the adult form...Taa Daa!